Coming to you from the American Medical Association’s House of Delegates Annual Meeting in Chicago, this is ReachMD. I’m Dr. Matt Birnholz. 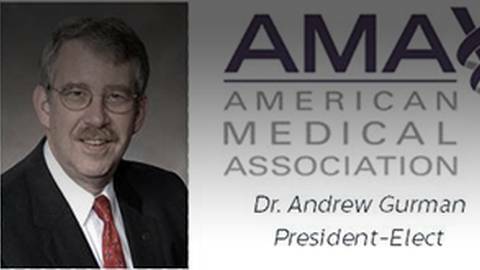 Today I’m joined by incoming AMA President, Dr. Andrew Gurman. Dr. Gurman is an orthopedic hand surgeon from Altoona, Pennsylvania. Previously he served as Speaker and Vice-Speaker for the House of Delegates for 8 years and he has been a member of the Pennsylvania Delegation for 20 years. So, Dr. Gurman, welcome to the program. In a very short amount of time, you will be taking the mantle as the President of the AMA. Tell me a little bit about that. What brought you to this point? Could you have anticipated it years ago? Absolutely not. No way could I have anticipated this. I went into practice to take care of people. The first decision that you have to make is whether you’re going to do academics or patient care, although academic physicians certainly do take care of patients, but I just wanted to go some place and do orthopedics and hand surgery and take care of people. Early on in my career I had some mentors who introduced me to organized medicine. Once there, I had some people who drew me in and nurtured me along the way, one of whom suggested that I run for Vice-Speaker of the Pennsylvania House of Delegates which I did, and it turned out that I had an unsuspected talent for presiding over a deliberative assembly, which is what the Vice-Speaker and the Speaker does. The appropriate mix of knowledge of parliamentary procedure and a little zaniness to keep the House comfortable with what they’re doing. And now you get to bring that zaniness, if you will, to the AMA as the President. Well, I did it as Vice-Speaker and Speaker of the AMA. I think we’re going to put the zaniness on hold for a while and just focus on being the spokesperson for the organization. Well, let’s talk about that, that role as spokesperson for the organization. What goes into that? What are you looking to do or accomplish in the next year? There’s a two-tiered answer to your question. The main answer is that I will do whatever it is that the organization needs me to do. Every president’s year is occupied by different things. It looks, right now, that the opioid epidemic is going to occupy certainly a portion of my time. MACRA, the act that eliminated the sustainable growth rate formula for Medicare payment, that is going to occupy a portion of my time and we’ll see what the future brings. There’s no way to predict that. The second tier, or the second part of that answer, is that there are a few things about which I care fairly deeply and I would like to devote some time to doing and those are: Number one, bringing the message of what the AMA is doing out into what I call the secular world, meaning the non-medical world. The AMA has three strategic focus areas: physician satisfaction, accelerating change in medical education, and improving health outcomes. And, particularly, in the area of improving health outcomes, there is wonderful opportunity to talk to people outside of medicine about pre-diabetes, about high blood pressure, about healthy choices, and I would like to do that. The second part of this is to talk to all physicians and medical students about advocacy. About advocating for our profession, about advocating for our patients, because we need to be the voice of people who are facing challenges and some of those challenges are brought on by regulation or by other bureaucratic problems, and I think that that is as important a professional responsibility as life-long learning and other things that we normally do. So, at least a two-tiered element in which you’re going to be trying to reach out further and establish a deeper line with the general public for education, and also, obviously, the clinician side, helping them do their job better and educate better. Do you see any challenges, not only today but projecting forward that might make that two-tiered-type of initiative more difficult in ways that you would want to try to get through that? There are always challenges and opportunities in any endeavor that you undertake, but no, I think that there’s tremendous opportunity to get out to both the general public and to the larger medical audience, and to talk about these things. People seem to be rather interested in hearing from an AMA president, so I’m happy to do that. And what about just the day-to-day? You’ve obviously been a part of the AMA for a long time. You’ve, as the Vice-Speaker and Speaker of the House of Delegates, you’ve gotten sort of a ground-floor, literally and metaphorically, feeling for how things work within the organization, but now stepping into the president role, do you envision, just on a day-to-day level, any particular type of flow or, as you said earlier, there’s going to be two sides. There’s going to be the things that you want to usher forward and also there’s the responsive element, the things that are needed as they come. How do you see your day-to-day sort of playing out? Well, I think that the day-to-day, in terms of the things that we talked about, the proactive part of it, are fairly predictable. I intend to continue my practice and, fortunately, I usually know weeks, if not months in advance, what my travel commitment and my representational commitments will be. So, I can, for example, have clinic on Monday, do surgery on Tuesday, perhaps see some followups Wednesday, then get on a plane, come back on Sunday, and repeat. Fortunately, I find the Wednesday through Sunday part to be rather invigorating, so it’s okay. The responsiveness, you can never predict when there’s going to be a mass shooting in a club in Orlando or, Lord knows what else; those kinds of things will be disruptive to my practice and fortunately my patients know my other hat and they are immensely proud to be part of that, to be my patients, to know me, and there will be times during the year when I will have to drop everything and go attend to the needs of the greater good. So Dr. Gurman, you were present at the House of Delegates Annual Meeting with Andrew Slavitt, the acting administrator for CMS, giving a discussion about new directions for MACRA, very, very big topic, obviously, of interest to many, many people. Many thoughts to go through with this, but why don’t you first just give me a general overview of what your reaction was to this new program and Andrew Slavitt’s words, as he gave them in the speech? First of all, I have to tell you that I admire him for coming to us with a message. I thought his message was uplifting. He talked about being cognizant of the difficulties that physicians have faced with his agency in the past. He admitted candidly that in the past they have been somewhat heavy-handed and that the relationship between us needs attention and needs mending. That was very refreshing. The comments that he made about the direction going forward lead me to believe that he and his agency are truly interested in listening to comments that we have about this new program that’s rolling out. He made it clear that he thought it was not a goal to make us do more documentation, but rather a goal to free us to do better patient care. So, these were all really very, very refreshing. I mean, he made some comments, this is probably not a direct quote, but the goal of the program is to refocus on patient care, not having you learn new programs; that we are needing to get away from our previous stance of insuring compliance as opposed to now rewarding good care. He said that the systems will need to adapt to your needs. That is an incredibly refreshing perspective to hear from someone from this agency. Right, that trend towards transparency and flexibility are two things that CMS was not historically known for and so to be in that room, for me, there was a bit of an electric feel, for somebody to be talking about that and really promoting the idea of what he was calling this user-driven policy. You’d think that in any type of political structure which is representing constituents, people’s interest, a user-driven policy would make sense and yet it’s actually kind of counter-intuitive in terms of historical precedent, and yet they’re really trying to move in on that now. What is your take on that? Well, I think it makes sense. If we all want this program to succeed, then the best way to ensure that is to work together. He also said that this is going to be a multi-year process, that they are open to being convinced that what they’re doing is wrong, or in the wrong direction, and this is, in my professional lifetime, revolutionary. The history has been that the agency promulgates the program and the door closes. This is the program; deal with it. So, this is so much more refreshing. He gave countenance to some of the hurdles that we are facing from electronic health records, from vendors, from data registries, from other providers. I think he gets it, that even if docs make the best effort that we possibly can to hit the targets, to do what we need to do, when we need to do it, everything that they ask us to do, that there may be other operational issues that simply prevent us to do that. And in the comment period, we will talk about that. We will talk about the start date. They’re going to promulgate their final rule in October or November and, as of now, the start date is January 1st. That was a sentiment that I heard expressed several times by a number of questions that came up which is, will there be flexibility to exempt certain groups of physicians, be it small practices, practices that deal with very specialized patient populations, with special needs, to not become penalized if they can’t make these new changes in time. How would you envision the AMA is going to step in and advocate for and protect those practices and patient populations in turn? Well, I’ll point out that at the start of his speech, actually I think even before he got into his speech, he thanked Rich Deem who is our Senior Vice-President in Charge of Advocacy and members of his staff for their honesty, for their engagement, for their ongoing discussion. So, the AMA is already doing it. It’s not how are we going to, we have been and we will continue. We are preparing an in-depth comment to the proposed rule, during the comment period, and we will deal with things such as the quality reporting, although it went from 9 to 6 categories as the requirement, the proposed rule also says that there should be an 80% target for these measures. All of the vending systems, all of the data systems, all of the everything is set up for the 50% target that exists in the current rule. I can tell you from personal clinical experience that in order to get to 50%, 70%, 80%, whatever it is, you have to start to engage with every patient on this process, but that people get weeded out. So, again, we want to make it work and we’ll say this in our comment letter, let’s go with the 50% threshold that at least the systems now support and our practices now support, and then let’s look back in a year and see how we’re doing. There’s no law that says that if you get to 80% or 90% compliance that you can’t report that. The fact is, if it’s coming out of your electronic health record it will be reported. But, let’s not say to people that you will fail if you don’t go more than 50%. Let’s look back in the year and see how it worked. And we will be commenting on other aspects of the plan along the way. 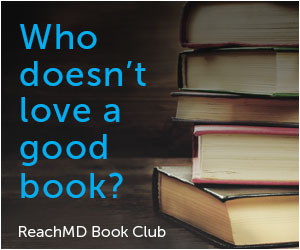 It will be a fairly detailed -- it won’t be 962 pages but I wouldn’t be at all surprised if it’s 15 to 20. I did get that impression that there are numerous areas through which, despite the excitement, there were a number of “this is great in theory, however,” areas that a number of the House of Delegates members were thinking of, or thinking through, even during the speech, areas that they would like to see addressed by CMS. And it looked like, at least from the vantage point of the stance that Andrew Slavitt was positioning, they’re open to that type of feedback. There is limitation of time by which they’d like to get all this feedback in. Do you feel like that’s enough time to really be able to examine, as you said, an over 900-page document, not a ton of time to be able to come up with all the feedback needed? Well, it’s not a ton of time, but the rule has been promulgated that the date is what the date is and we’ll simply have to work with that. Our staff will work 18-hour days, will work weekends, will do what we need to do to get it together. I can’t say enough about the AMA staff that supports us. These people have been doing this work for many, many years. They have tremendous expertise and physicians could not have a better group of people working on our behalf. I just have such admiration for them. The deeper I get into this, the further along the leadership trail I get, the more impressed and grateful I am for the people that I get to work with. Dr. Gurman, any questions that I haven’t asked you, anything that you’d like to add for our listening audience around your incoming roles and the work that you’ve been doing and intend to do? Well, I think that if I would have the opportunity to say or to leave one thought with your listeners, it is that what the AMA is doing is incredibly exciting in a number of different areas. We are working to provide tools and to understand what makes physician practice as rewarding as we all want it to be, and to provide people with the tools to make that happen. We’ve done it through surveys with the Rand Corporation. We’ve done it with something called STEPS Forward which is a series of modules on our website that help people with simple and complex areas of organizing their practice, everything from rooming patients quickly to existing under a value-based payment system. So, it’s a broad spectrum. Whatever your thoughts are about the AMA of 5 years ago, 10 years ago, 20 years ago, we are a completely different organization. We are very much engaged on behalf of all physicians, and please come give us another look. Well, with that I do want to thank our guest, incoming AMA President, Dr. Andrew Gurman. We’ve been talking about initiative and leadership directions for the AMA in the next year and the years to come. Dr. Gurman, thanks again for your time. From the AMA's House of Delegates annual meeting in Chicago, Dr. Matt Birnholz joins AMA President Dr. Andrew Gurman to discuss current and future initiatives for the nation's largest physician organization. The two focus particular attention on reactions to physician payment reform and Meaningful Use updates from CMS's Medicare Access and CHIP Reauthorization Act (MACRA). Dr. Gurman, an orthopedic hand surgeon from Hollidaysburg, PA., became the 171st president of the American Medical Association on June 14th, 2016. In leading the nation's largest physician organization, Dr. Gurman will focus his tenure on advancing the AMA's three strategic focus areas: improving health outcomes for Americans living with pre-diabetes and hypertension; accelerating change in medical education and preparing students for today's health care system; and enhancing physician satisfaction and practice sustainability.